When you’ve suffered major water damage in your home or office every day, hour, and minute counts. Did you know that even if from clean sources standing water and soaked carpets quickly become a health hazard? That’s why we offer prompt professional flood damage repair in Thousand Oaks, water damage removal and restoration, fire damage restoration, smoke and odor removal, and mold remediation services. To minimize secondary damage our dispatchers are on the job live, 24 hours a day. They can immediately send out an on-call expert certified in water damage removal and restoration, any time of the day or night, for your protection and that all-important initial assessment. With one of the fastest response times in the region we can be there within the hour. When you choose us you’ll have our full-service 100% satisfaction guarantee. You’ll want all work to be done by crews specialized in fire, flood, and other recovery services. Restoration Masters is a disaster removal company you can turn to for all your Thousand Oaks recovery needs, including storm damage repair. We work directly with all major insurance companies to simplify things for you during a difficult time. Water quickly penetrates deeply into building materials. 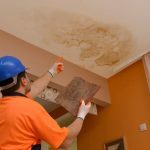 Long before it would evaporate naturally it promotes the growth of mold, fungus, bacteria, and viruses and physically damages wood, sheetrock, and more. Every day counts in removing water, mud, and debris and providing sanitation. We’ll lift or remove carpet then use specialized equipment for maximum water extraction and a full and complete structural dry out. With the latest in equipment and meters we can get moisture back down to safe levels in a fraction of the time of alternatives. Restoration Masters is also your best choice for any necessary mold or odor removal and final repairs. Whether from natural causes, a leaky roof, a burst water heater or leaking pipe, or a sewage backup flood restoration requires far more than mopping up. There’s health and safety issues, as well as the fact that water will have soaked down deeply where it will continue to cause harm and even destruction for weeks to months ahead. Whether large or small, recovering from a fire is overwhelming for individuals with so much work and so much specialized knowledge and experience needed. Quite frankly, its something you shouldn’t tackle yourself. You need professional services for structural issues as well as ash, soot, and smoke technicalities. You’re also likely to need water damage repair and mitigation from firefighting. General contractors have nowhere near the necessary expertise. Toxic and corrosive smoke can travel throughout a building contents and requires great care in selecting the proper treatment. Improper or delayed smoke and odor removal can cause additional losses and leave you with odors that linger for years. We’re approved by local, state, and federal for the technically challenging task of mold removal. For black mold as well as other types we strictly adhere to the requirements for worker protection, isolation to prevent spread, and through removal (including inside HVAC ducts) and mildicide application to prevent regrowth. We’ll completely take care of odors in carpets and other areas not directly affected by mold. A leaky roof, poor window caulking, and plumbing problems can cause hidden leaks that aren’t obvious but lead to progressive destruction hidden out of site. If you suspect a problem our leak detection specialists armed with the latest meters can non-destructively pinpoint the location. It’s often best to remove building contents, treat them under controlled conditions, and securely store them until it’s time for their return. That’s especially important for rugs, furniture, appliances, and electronics. Pack out services also speeds building drying and repair work. With the mudslides and flash-flood warnings just this year there’s no time like the present to learn what to do about flooding, and then take action. The City of Thousand Oaks’ website includes an excellent guide (https://www.toaks.org/living/disaster/floods.asp) for preparing your family and property, steps to take during storm watches or warnings, how to ride out the storm, and what to do (and not do) afterward. But it’s equally important to be aware of home and business fire-safety issues, including properly installed and tested smoke alarms and kitchen safety. You’re facing a very tough time, and insurance and payment issues shouldn’t be piling worries and stress on top of that. Restoration Masters works closely with all insurance companies to meet their specifications and satisfaction for hassle free claims. By working with all major insurers and many of their local adjusters in and around Thousand Oaks, we know exactly what they expect in complete and detailed documentation of damages, mitigation, and restoration. Our rates are competitive, and our full-service company can assure that every reasonable step is taken to avoid secondary damage and their repair expenses. We do not require an upfront payment to begin work, so we can start right away. We’ll wait for you insurance claim payout.